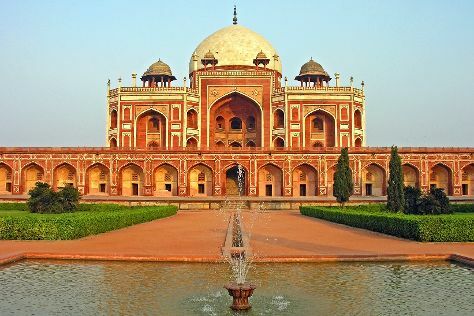 On the 28th (Thu), take in panoramic vistas at Qutub Minar, then tour the pleasant surroundings at Humayun's Tomb, then steep yourself in history at Gurudwara Bangla Sahib, and finally contemplate in the serene atmosphere at Birla Mandir Temple (Lakshmi Narayan). On the 1st (Fri), you'll have a packed day of sightseeing: admire the striking features of Rashtrapati Bhavan, steep yourself in history at India Gate, then make a trip to Jahanara Begum's Tomb, and finally admire the natural beauty at Akshardham. To see ratings, more things to do, photos, and other tourist information, refer to the New Delhi trip builder site . Use the Route module to see travel options from your home to New Delhi. In February in New Delhi, expect temperatures between 29°C during the day and 13°C at night. Finish your sightseeing early on the 1st (Fri) so you can travel to Goa. Kick off your visit on the 2nd (Sat): stroll through Agonda Beach. To find traveler tips, reviews, ratings, and more tourist information, read Goa trip itinerary planning site . You can do a combination of flight and bus from New Delhi to Goa in 6.5 hours. Other options are to do a combination of flight, taxi, and bus; or drive. Traveling from New Delhi in March, expect warmer with lows of 32°C in Goa. Finish up your sightseeing early on the 2nd (Sat) so you can travel back home.